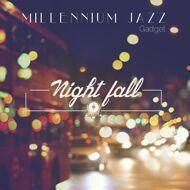 Nightfall is the solo production album by Gadget which consists of thirteen instrumentals produced as a result of often being inspired by the cosy feeling of the night and the "bright lights in the big city" of London. Each track was made during a time period when Gadget felt most motivated and focused on his craft around this particular time of the day. This project features one or two fan favourites and a couple of tracks which were leaked as previews, all of which have been revisited, fine tuned and topped off with brand new head nodding Hip Hop straight out of the 'Audio Dojo' where Gadget aka Dirty Thumbs gets busy. Expect dark moods, funky breaks, hard hitting drums, uplifting melodies, spiritual and melancholic vibes, lot of Jazz and even some Reggae influences, but always heavily driven by Hip Hop.